It’s hard to believe it’s that time of year again. 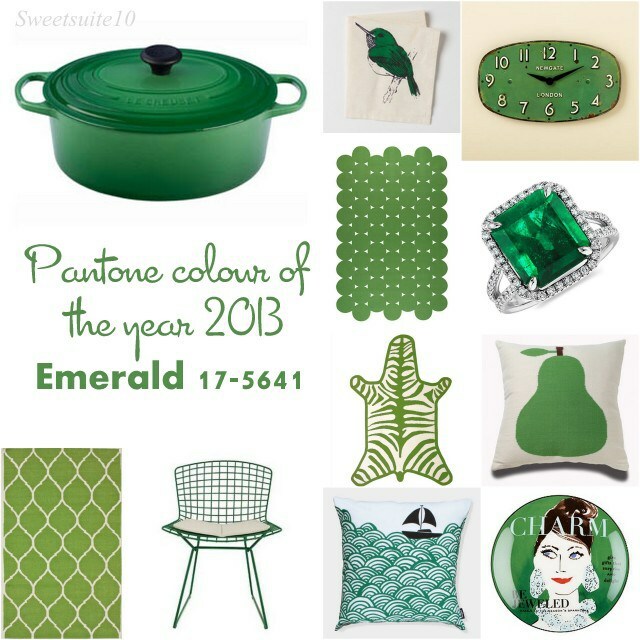 Yesterday PANTONE announced their choice for the colour of the year 2013. Their choice is Emerald (17-5641) which they describe as a lively, radiant and lush green – a sophisticated and luxurious colour which is also the colour of growth, renewal and prosperity. I cannot tell you how excited I am that a shade of Green is the colour of the year. I LOVE green, and not just because I’m Irish ;). 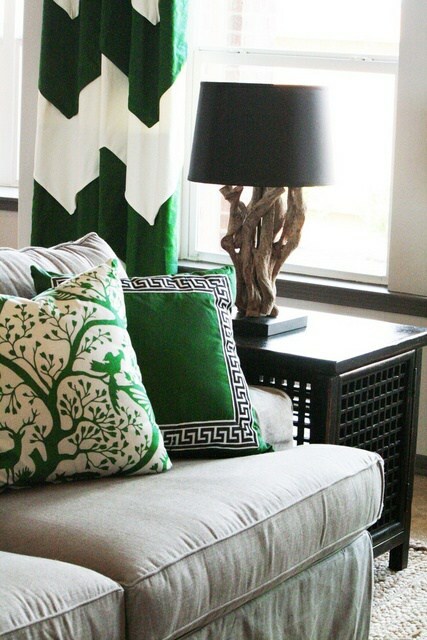 I’ve had this picture pinned forever and I love it – the emerald green is a lovely contrast to the cream and black. I’ve got bedside lamps with green dots on them, and I’ve been trying to put together my bedroom for a couple of years, but I’ve found green rather hard to find in fabrics and linens (at least at the stores I frequent). 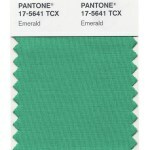 Hopefully this will change as the year goes on, and green will be easier to find as retailers take their cue from Pantone – just like they did in 2012. What do you think of their choice? Are you loving it like I am, or are you wishing they picked something else? So what was all the talk by the Para Paints folks about Monaco Blue..? I'm confused... Were they just guessing? I think they said the Monaco blue was the High Fashion colour? I like the green better anyhow, so I'm happy! LOVE emerald green. It's my fave. So happy it's getting it's due! I love green and the colour they've chosen is especially rich and beautiful. But... unfortunately the husband pretty much despises green and since it's his house too... there's very little - perhaps none! - in our house and that's unlikely to change. Sigh... the sacrifices one makes for a happy relationship...!